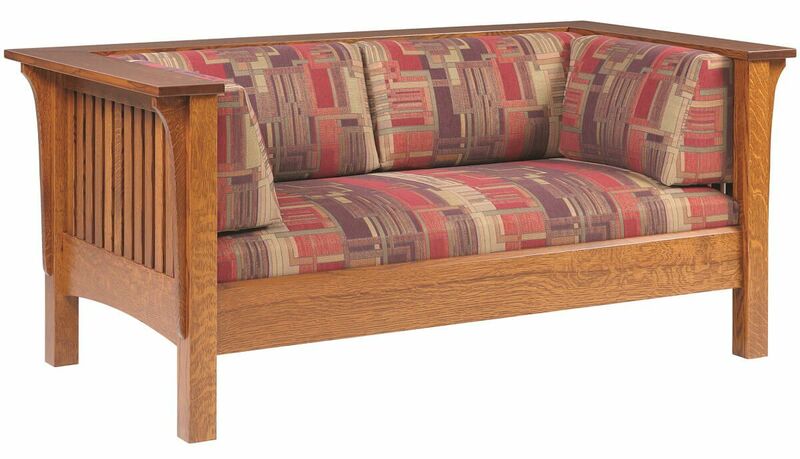 Relax in our Sandy Creek Loveseat, handmade by our Amish artisans who make quality Mission living room furniture for your family room or seating area. 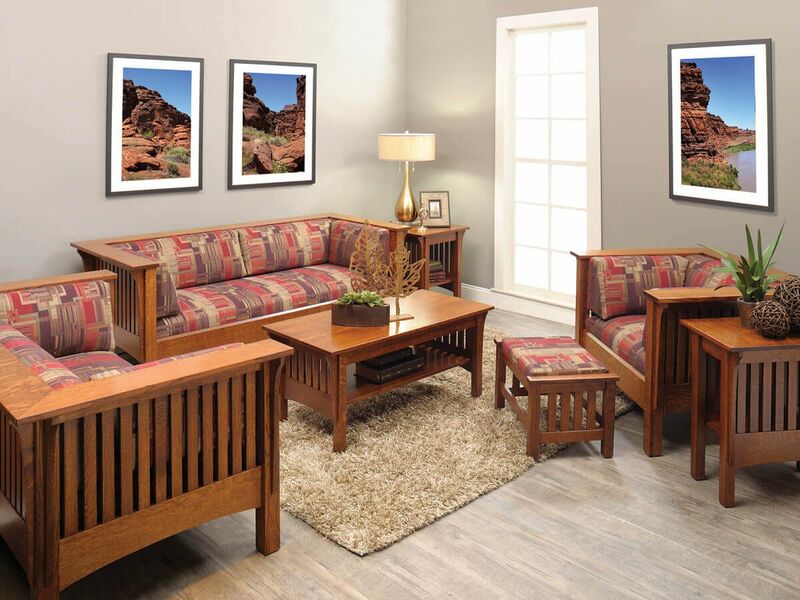 Our Sandy Creek Loveseat is built to endure years of everyday use with its solid wood frame reinforced with block bracing and mortise and tenon construction. 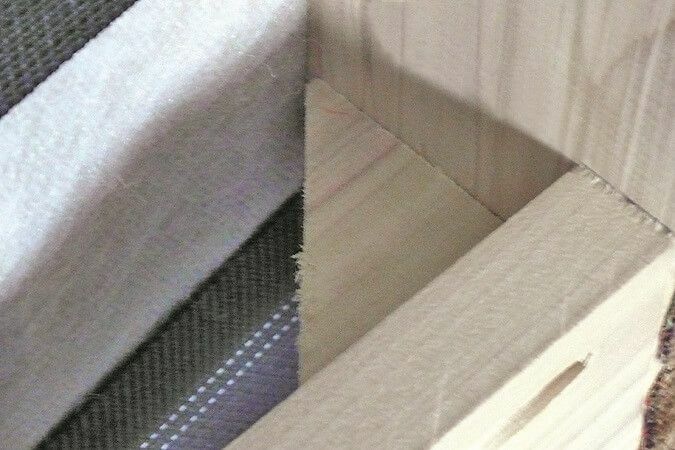 Cushions are thick and comfortable in this seat for two and are filled with high density foam. 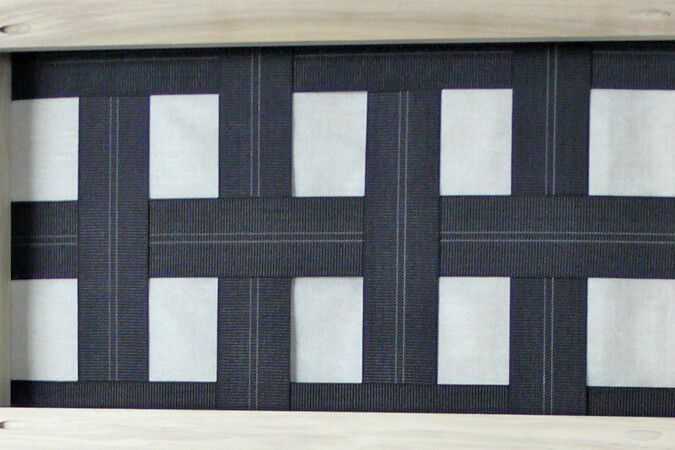 The loveseat's cushion support system is composed of a nylon reinforced webbing for added durability. 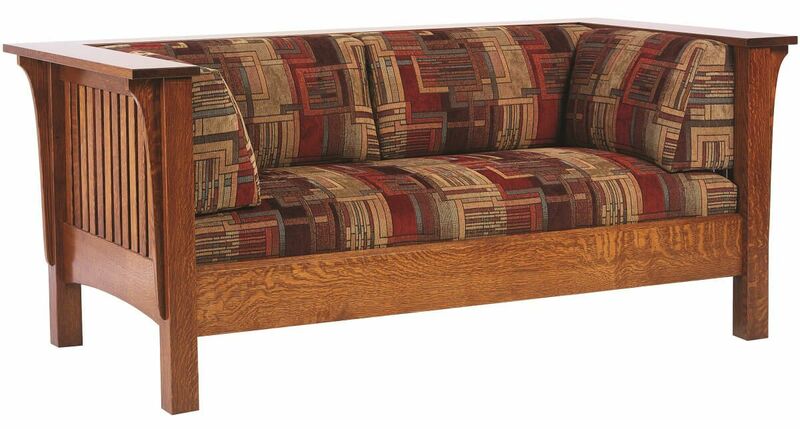 Features on this loveseat include Mission style slats, as well as your choice of premium fabrics or leather. 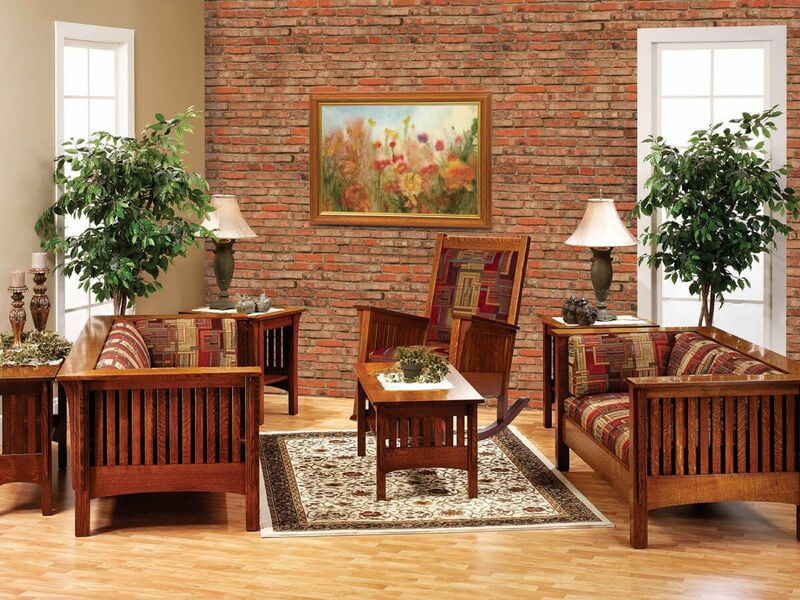 You select the wood species and fabric or leather options, so this living room furniture will work perfectly in your home. 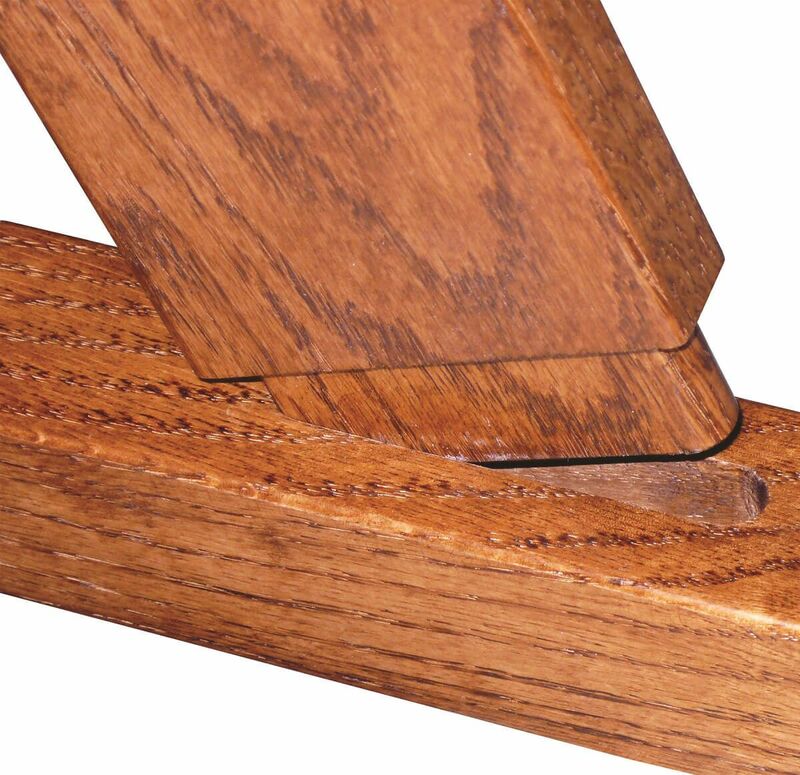 To order the Sandy Creek Loveseat as pictured, select Quartersawn White Oak as your wood, topped off with our Cinnamon Stick wood finish.